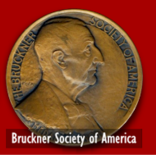 For an annual membership donation of $30 or more, the Bruckner Society of America will send you an exclusive CD available only to members of the Society. The CD is a re-creation of the famous RCA Victor 78 rpm set (M-276) featuring Eugene Ormandy's recording of the Bruckner Symphony No. 7. 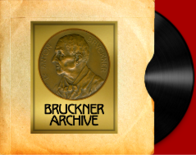 The recording was made in January of 1935 and was the first Bruckner symphony to be recorded in the United States. For their efforts, Eugene Ormandy and producer Charles O'Connell received the Bruckner Society's Kilenyi Medal of Honor. The CD contains the exact program notes that were included in the 78 rpm set. Photos of the original RCA label as well as the label for the European pressing are included as are pictures of Ormandy at that time and the concert hall where the symphony was recorded. 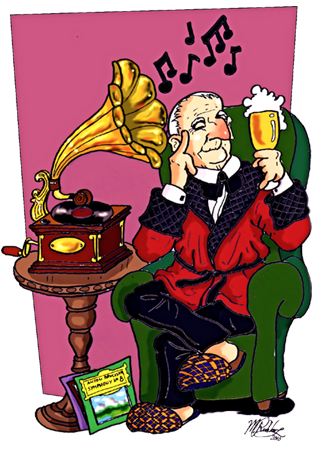 The set was carefully created to look like a miniature of the original 78 rpm set.